Dr. Harris and his entire staff at Harris Pet Hospital understand that the decision to allow your beloved companion to undergo surgery is never an easy one. 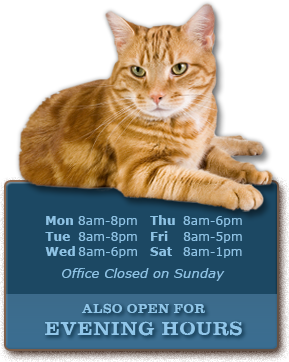 We strive to ensure your pet's procedure is as comfortable and safe as possible. Perhaps the most important pre-surgical step is to discuss why we believe a particular procedure is necessary and what it entails. Our doctors will provide you with information on proper postoperative care and answer any questions you may have so that you feel comfortable knowing you are making the right choice for your pet. Ensuring the health and safety of your pet during surgery is our utmost concern and requires an anesthetic and monitoring regimen that adheres to the highest principles and ideals of quality care. 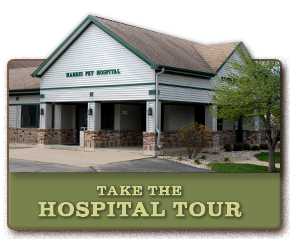 At Harris Pet Hospital, we provide your pet with state-of-the-art anesthetic administration and cardiovascular technology that is monitored by our skilled veterinary technicians. 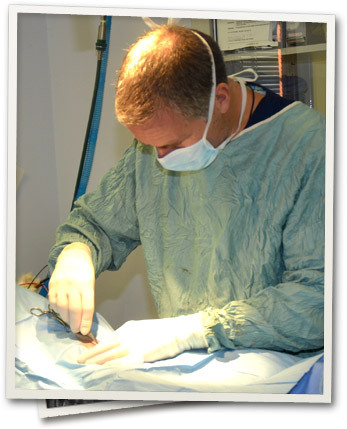 Prior to surgery, your pet is examined and a pre-surgical blood screen can be performed. The results of these tests and past anesthetic history, breed, preexisting conditions, and age are used to create an individualized anesthesia protocol for your pet. While under anesthesia, your pet is cared for by an experienced veterinary technician using our monitoring system, which tracks blood pressure, heart rate, respiratory rate, body temperature, and oxygen level. We all know that pain hurts, but pain also has many other detrimental effects on your pet's body. Pain slows healing, decreases activity, and causes behavioral changes (such as aggression, anxiety, and depression). Pain worsens diseases like arthritis and potentially some cancers. It interferes with the bond between you and your pet. 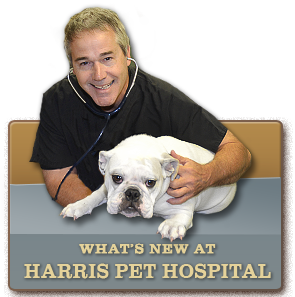 At Harris Pet Hospital, we practice the most up-to-date pain management protocol. For acute and chronic conditions, we use all our available and safe resources, including NSAIDS (non-steroidal medications) and oral and injectable analgesics for the complete comfort of your pet.